“Azerbaijan, which is the author of this project, was able to accurately calculate all possible risks and prospects for its implementation,” he said. 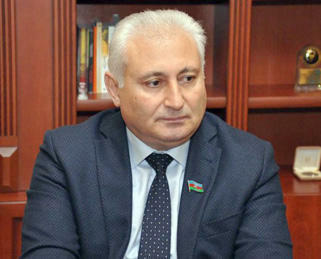 Babaoglu also said that Azerbaijan, which is one of the important actors of modern international energy relations, has created such geostrategic reality together with its strategic partners that the interests of all participating countries coincide. Therefore, US President Donald Trump’s support for the Trans Adriatic Pipeline (TAP), which is part of the Southern Gas Corridor, during a meeting with Italian Prime Minister Giuseppe Conte in Washington, was of great importance. “Such mega-projects being implemented by Azerbaijan also strengthen the country's position in the system of international relations and increase its role,” he said. "This creates a solid foundation for ensuring our national interests and territorial integrity."